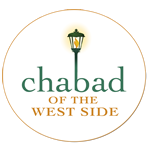 The weekly Kiddush is one of the highlights of the Chabad Shul experience. Sharing your special occasions with your community by sponsoring a Kiddush is a meaningful way to mark an important lifecycle event. Click here to sponsor the Downstairs Shul kiddush. Please select your sponsorship level. Email us to be enrolled in our weekly email. Find out about upcoming events, view pictures of past events, learn something about the Parsha and get our weekly schedule in your inbox. o serve the Lord your G-d with all your heart" [Deuteronomy 11.13]. What is a service with the heart? It is prayer.